With a stay at Moorings Hotel, you'll be centrally located in Port Vila, walking distance from Tana Russet Plaza and close to Port Vila Market. 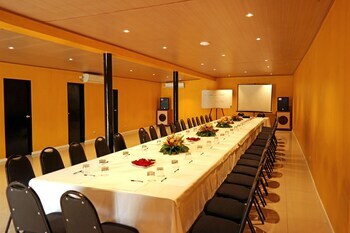 This beach hotel is within close proximity of Parliament House and National Museum. Make yourself at home in one of the 30 air-conditioned rooms featuring minibars and LCD televisions. Rooms have private furnished balconies or patios. Wireless Internet access (surcharge) keeps you connected, and satellite programming is available for your entertainment. Private bathrooms with showers feature complimentary toiletries and hair dryers. Satisfy your appetite at the hotel's beachfront restaurant, where you can take in a garden view, and dine alfresco (weather permitting). 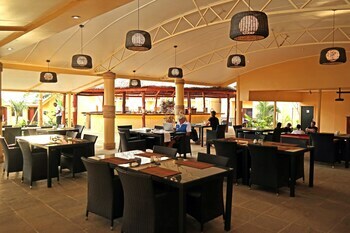 Dining is also available at a coffee shop/café. Relax with your favorite drink at a bar/lounge or a poolside bar. A complimentary continental breakfast is served daily from 7 AM to 10 AM. 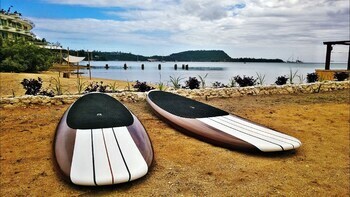 Moorings Hotel Fort William is the best Port Vila lodging choice for your trip to Vanuatu. With numerous amenities for guests such as concierge, airport transportation, dry cleaning service, you will wake up at Moorings Hotel Fort William feeling refreshed every day for your time in Port Vila. Don’t let this amazing reservation opportunity pass you by, book your stay at Moorings Hotel Fort William today to make the most of your time in Port Vila, Vanuatu.